Getty ImagesSears posted an 18.1% drop in same-store sales at its namesake stores over the holiday period. Sears’ same-store sales at its namesake chain dropped a staggering 18.1% – the worst drop in recent history – over the holiday period. The company said it expects revenue to be $US4.4 billion for the quarter, a decline from $US6.1 billion in revenue the previous year. Sears is expecting to turn a profit, however, of between $US140 million to $US240 million, due in part to a boost from the new tax law. Sears’ shares soared more than 16% Thursday afternoon. Sears posted a staggering drop in same-store sales over the holiday period, but is expecting to turn a profit for the quarter. Same-store sales, or sales at stores open at least a year, dropped 15.6% during the fourth quarter, including a 12.2% drop at Kmart and an 18.1% drop at Sears, the company said in a regulatory filing on Thursday. The 18.1% decline is the worst same-store sales drop in history for Sears’ namesake stores. The company said it expects revenue to be $US4.4 billion for the quarter, a drop from $US6.1 billion in revenue the previous year. Sears is expecting to turn a profit, however, of between $US140 million to $US240 million. 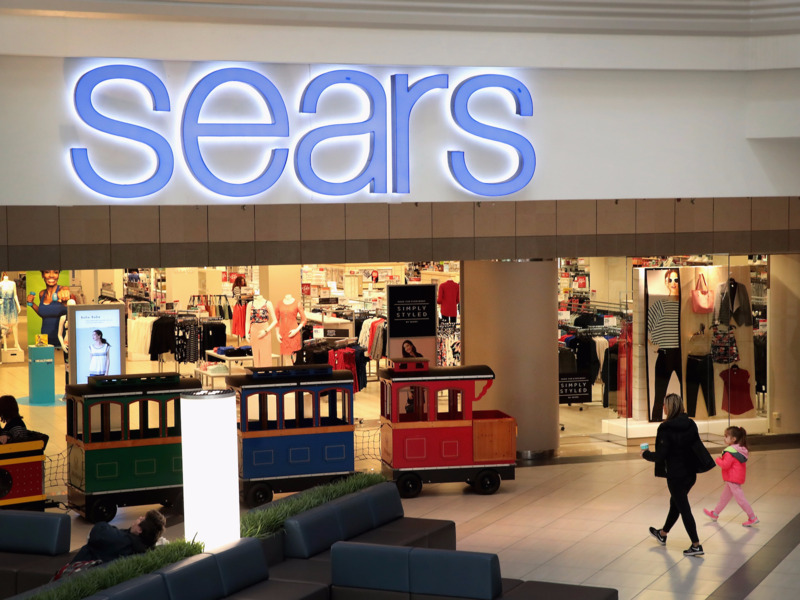 Sears said it expects to benefit somewhere between $US445 million and $US495 million from the new tax law. The company said closing unprofitable stores has had a “meaningful improvement” in its overall performance. Sears’ shares soared more than 16% in Thursday afternoon trading.